Thanks to a reader for this tip off. 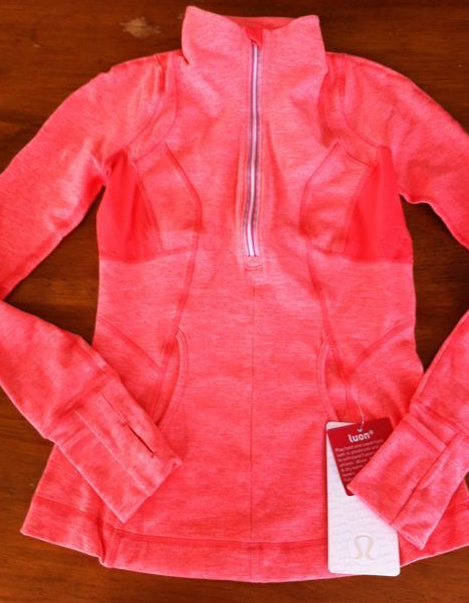 The new Pace Setter Pullover is available in Strategic Sales locations in the US currently. This is Static Flush running luon and it also comes in Static Black. These images where taken from an ebay listing posted today (I’m unfamiliar with this seller). I’m not in need of another pullover so I’m passing on this one but I do really like the amount of reflective stripping in the back. 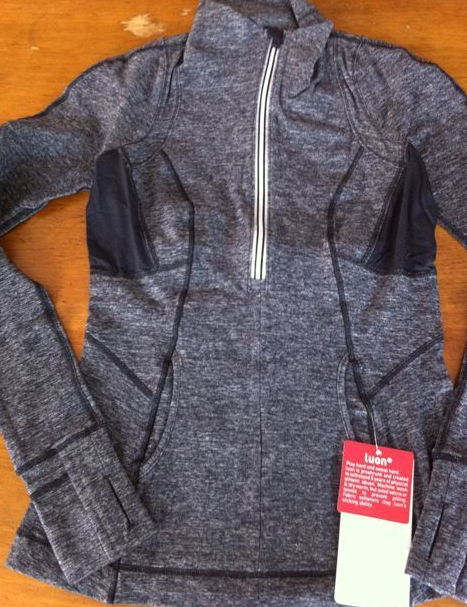 I usually find most lulu items don’t have enough reflectivity for nighttime running which is why I’ve loved my Hustle Jacket so much. It has the perfect amount of visibility so that I can just put it on and not have to think about what I can add to myself to keep me safe. 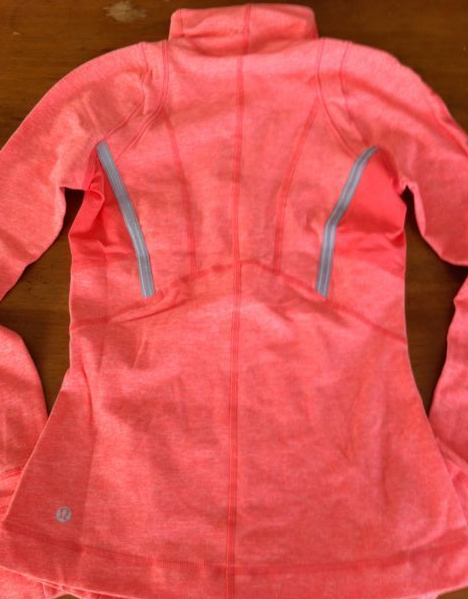 Sometimes when I wear just my pullovers I have to remember to add reflective snap bracelets or just use the pullovers for my daytime runs, so It’s really nice that they’ve thought of adding this feature on this pullover. Reflectivity is pretty utilitarian but it’s not something you can sacrifice if your running at night.